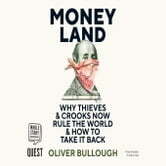 You cannot understand power, wealth and poverty without knowing about Moneyland.' Simon Kuper, New Statesman From ruined towns on the edge of Siberia, to Bond-villain lairs in Knightsbridge and Manhattan, something has gone wrong with the workings of the world. Once upon a time, if an official stole money, there wasn't much he could do with it. He could buy himself a new car or build himself a nice house or give it to his friends and family, but that was about it. If he kept stealing, the money would just pile up in his house until he had no rooms left to put it in, or it was eaten by mice. And then some bankers in London had a bright idea. 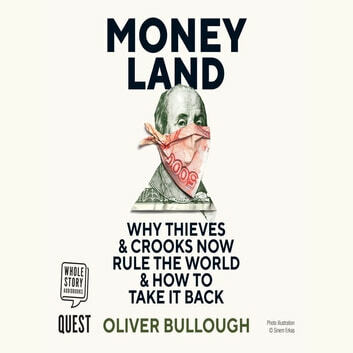 Join the investigative journalist Oliver Bullough on a journey into Moneyland - the secret country of the lawless, stateless superrich. Learn how the institutions of Europe and the United States have become money-laundering operations, undermining the foundations of Western stability. Discover the true cost of being open for business no matter how corrupt and dangerous the customer. Meet the kleptocrats. Meet their awful children. And find out how heroic activists around the world are fighting back. This is the story of wealth and power in the 21st century. It isn't too late to change it.